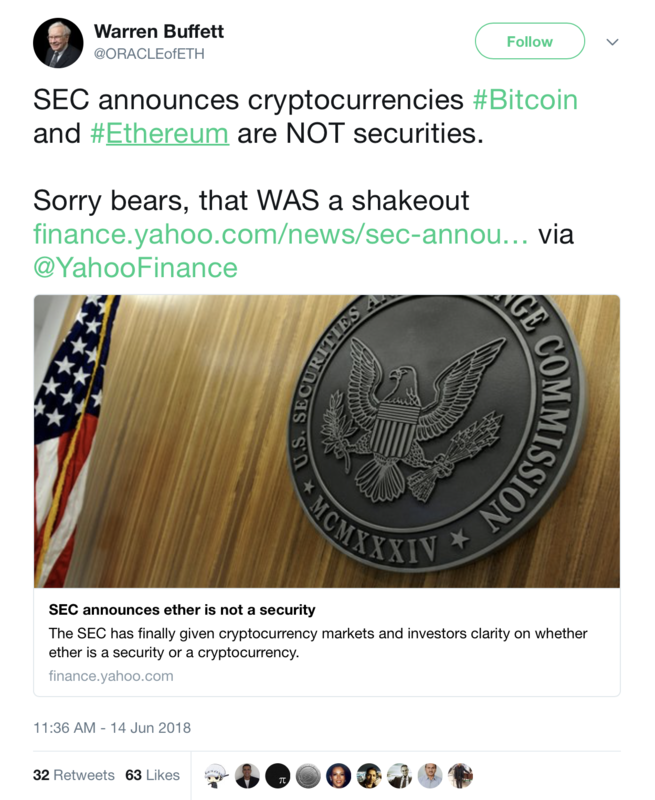 So said William Hinman, director of the division of corporate finance at the U.S. Securities and Exchange Commission (SEC) at a Yahoo! All Markets Summit event in San Francisco yesterday. 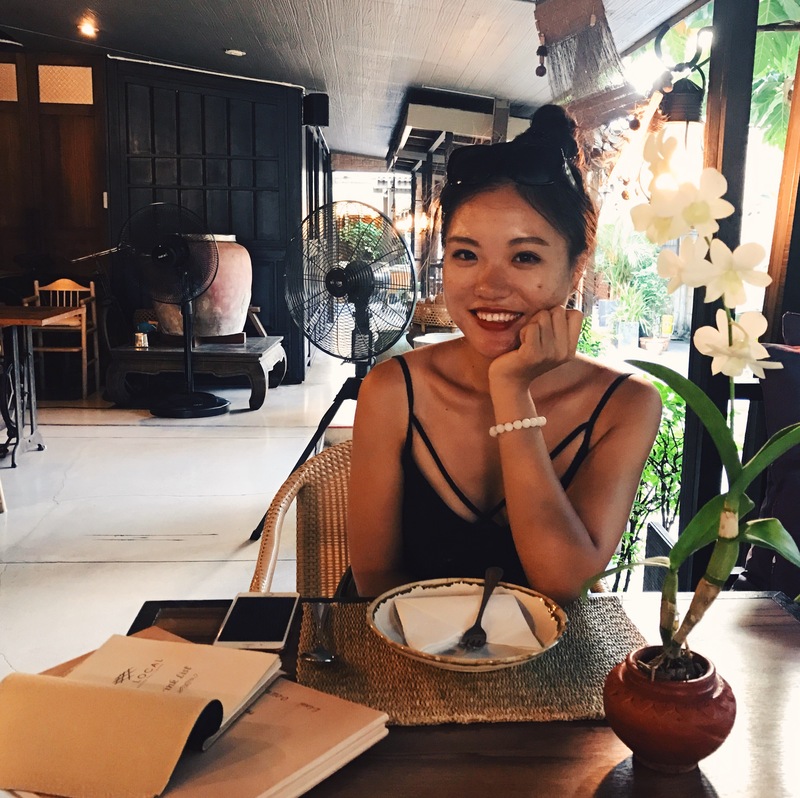 As you might expect if you’ve been following 2018’s regulatory drama, the online crypto community subsequently exploded with commentary. The big deal? 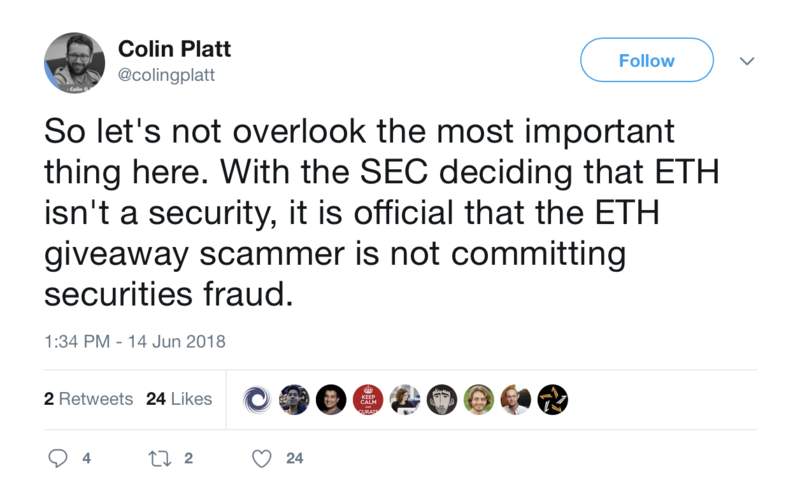 The implication is that the world’s second-largest cryptocurrency isn’t currently running afoul with the law (at least now), and that the SEC may be preparing to soften its approach to the sector in general. That’s just the tip of the iceberg though, and immediately blog posts started springing up opining on the subject. 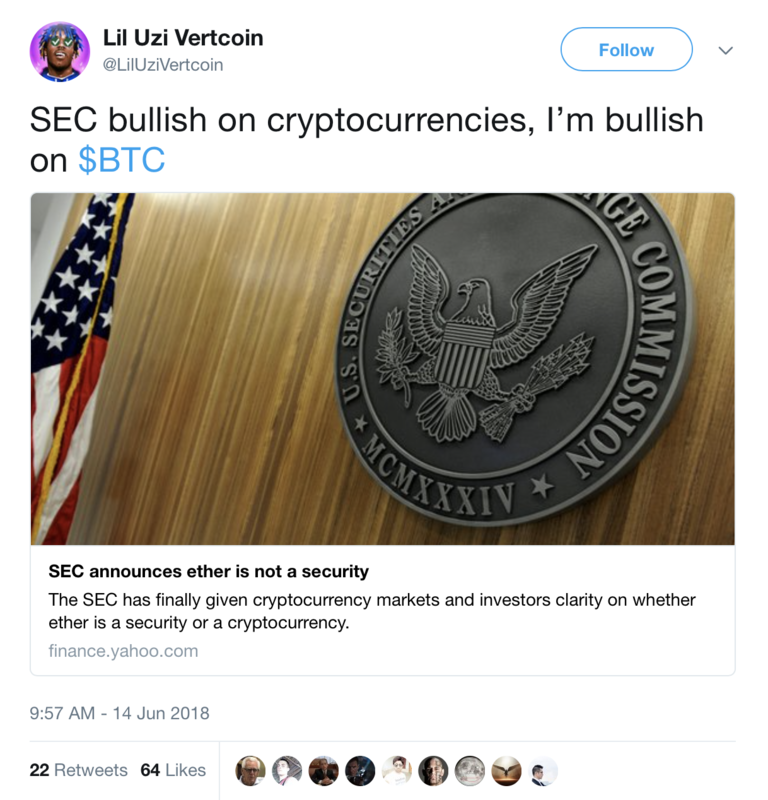 Advocates for cryptocurrency took it as an affirmation of their views on securities law, while legal experts who expected the SEC to come down swiftly on the industry were more bewildered. 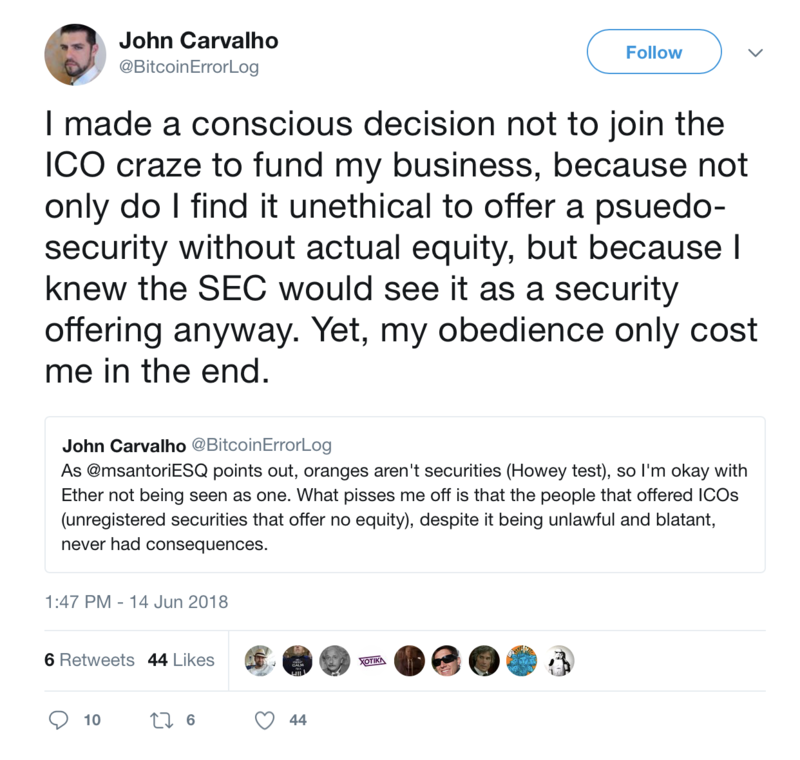 “The SEC has just abdicated responsibility for enforcing securities laws in the United States,” or so wrote blockchain entrepreneur and U.K. lawyer Preston Byrne. Still, the real ramifications aren’t exactly known. Byrne also pointed out to the investors that it is still too early to celebrate. The takeaway from this side of crypto Twitter? Compliance is a long game. Plan accordingly. And there’s definitely merit to this view. 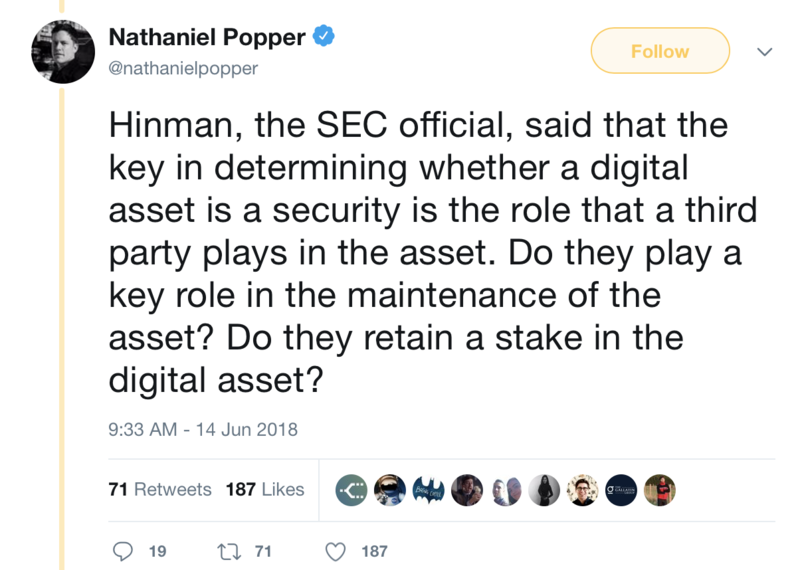 In his full remarks, Hinman also explained how the SEC might make such decisions, and he didn’t exactly say there wouldn’t be any enforcement. That said “instructive” might be the right word. 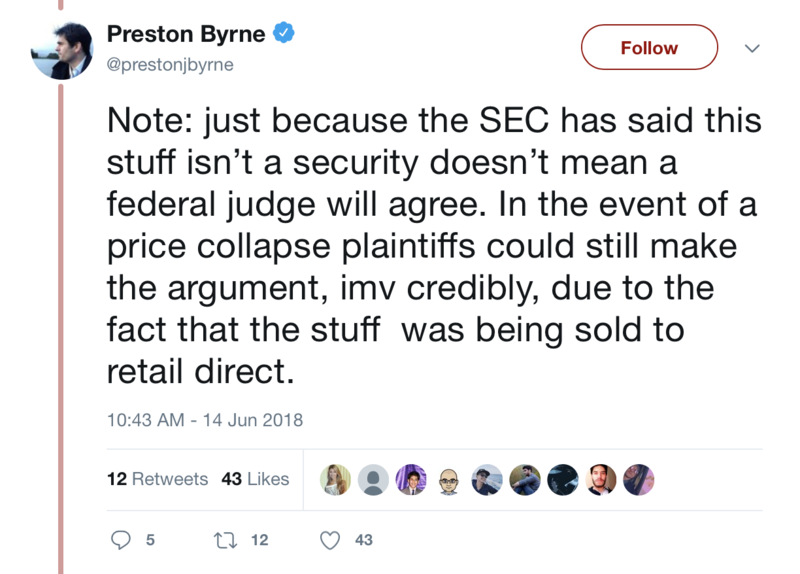 As New York Times reporter Nathaniel Popper reminded us, even if we didn’t get a ruling, we did get a window into SEC thinking on the issue that goes a bit beyond what they’ve issued before. Still, to some, this left a feeling that following the law wasn’t the best choice. Nevertheless, crypto Twitter didn’t pass up the chance to party, a sentiment that was largely influenced by market performance. 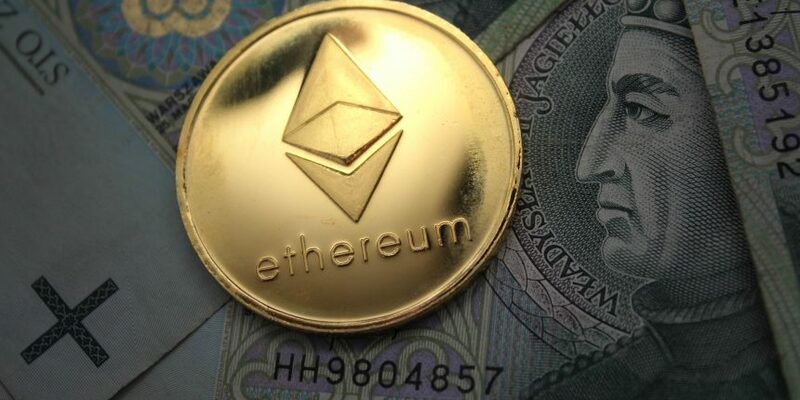 The price of ether surged immediately following the news about 8.8 percent, according to the CoinDesk Bitcoin Price Index, as did many other coins. 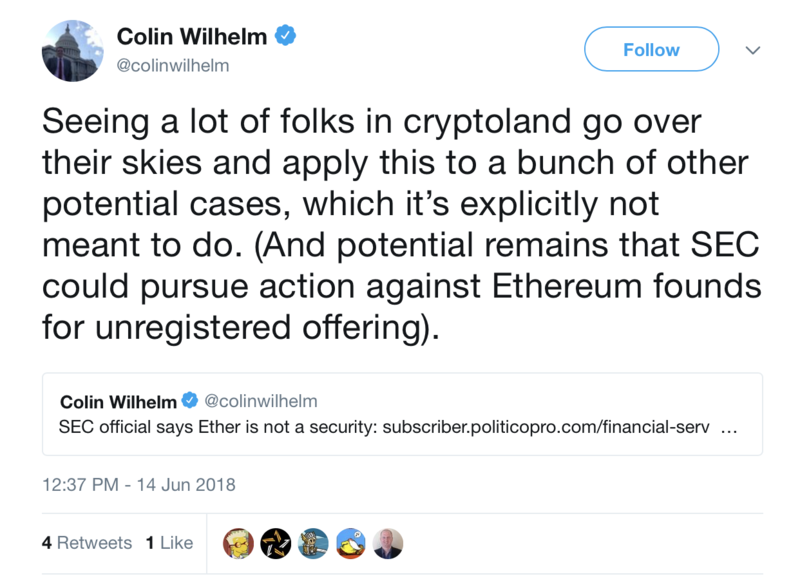 Not such a surprise given most tokens are now issued on top of ethereum. Still, even bitcoin’s price rose on the news, a development that put a stop to what was otherwise a dreary Wednesday in the normally irreverent land of crypto Twitter. In a word, a wave of bullishness passed through the internet. Some, however, took the takeaway a bit too far. 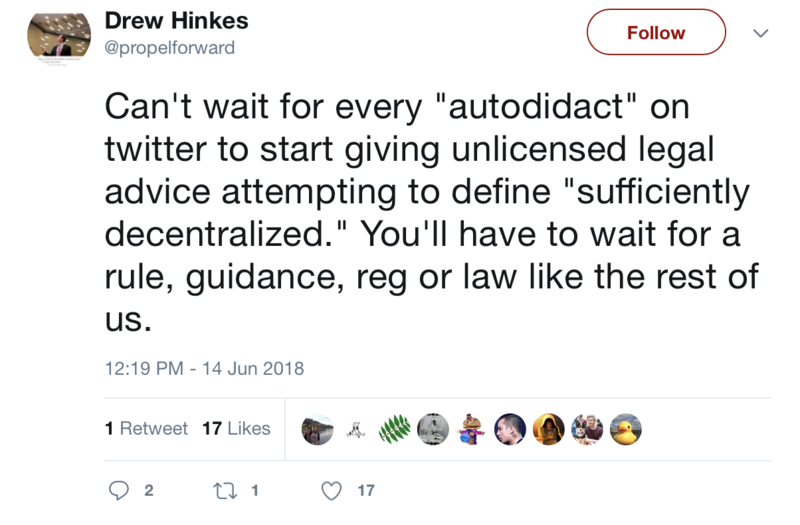 As always, the tweets are a reminder of an old axiom: Be #craeful what you read on crypto Twitter!